Coaching classes are tuition classes that students go to for extra coaching. Coaching classes are of various types. While some focus on a particular subject, some have it for particular standard. Whatever be the type of coaching classes, most provide notes to the students. However, printing the notes and providing them to the students can be an expensive affair. Hence, Addmen has introduced the facility of uploading coaching study material through ECAS or Enhanced Campus Automation Software. Administrators will find a module named eDocuments where they can upload all type of important documents including study material. There is no limit to the number of documents that can be uploaded into the system. The study material can be grouped as per the class or section to which it belongs to. 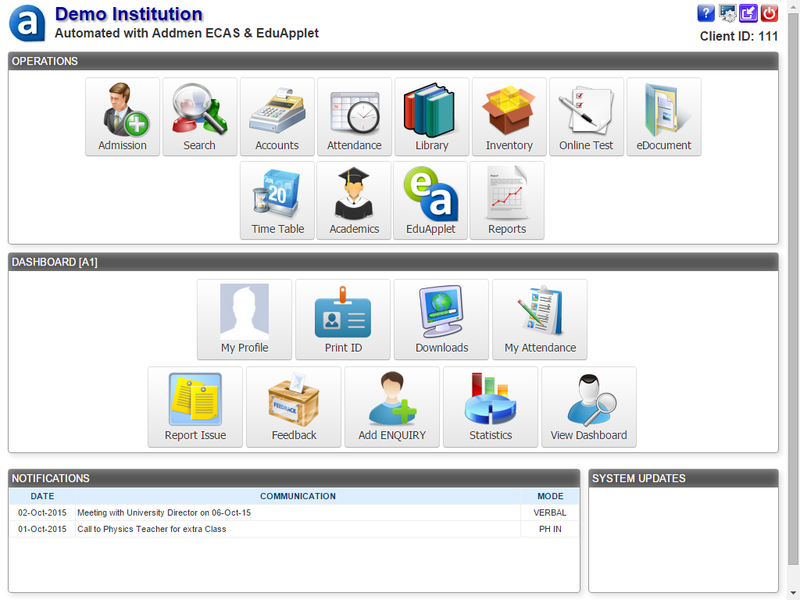 When a student logins to his/her account, he/she would be able to view only the files assigned to his/her class. It is possible to upload study material for a particular group in only one branch if your coaching institute has several branches. Students can download the documents from their dashboard. Study material need not only be in the form of documents. Teachers and administrators can also upload class videos and audios related to the course. The feature of uploading coaching study material can save your time and money. It is one of the best features offered by ECAS.